By Chris Williams: Undefeated Chris Algieri (20-0, 8 KOs) was a visitor on HBO last night during the “Mexican Style” telecast on HBO Championship Boxing. HBO commentator Jim Lampley pointed out to the boxing viewers that Algieri defeated WBO welterweight champion Manny Pacquiao (56-5-2, 38 KOs) already in one-on-one basketball, pool and in bowling. Algieri then calmly told Lampley that he also beat Pacquiao in batting practice with the San Francisco Giants. Lampley said that Pacquiao’s trainer Freddie Roach isn’t too happy how close Algieri and Pacquiao have come during the run up to the fight. Algieri says he doesn’t see it as a problem, because he’ll be able to separate his friendship with the task that he has at hand in defeating the 35-year-old Pacquiao in their Novmeber 22nd fight in Macao, China. Algieri said to HBO “We also had batting practice with the San Francisco Giants, and I beat him at that too. This is my profession. It’s my job. I don’t have to hate the man to destroy the man. So I’m going to go out there and handle my business on November 22nd, but for now he’s a good guy. I’ve been an underdog before. I’m comfortable there,” Algieri said. A loss for Pacquiao could have a real destructive effect to his career. He was already beaten not too long ago by Juan Manuel Marquez and Tim Bradley. If you add a loss to Algieri to that list, Pacquiao’s career will be dramatically hurt unless his promoter Bob Arum can put him on a soft diet again of beatable opposition. 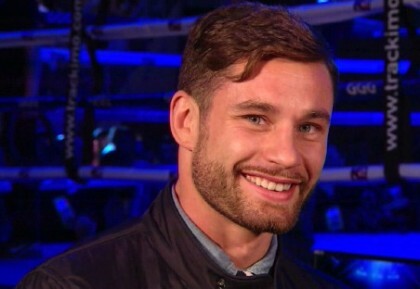 Algieri has a good way of looking at the fight. He’s one of those guys who doesn’t need to try and intimidate his opponent to get an edge against them. I’m sure he also realizes that intimidation tricks probably won’t work against Pacquiao, because he’s the favorite in this fight and he’s got much more big fight experience than the 30-year-old Algieri. With Algieri beating Pacquiao at every athletic competition he’s been in with him, it could give him an extra advantage for this fight. When you’ve dominated your opponent in different athletic events the way that Algieri has, it could sink into the mind of Pacquiao that he’s up against a guy that is simply better than him. This could work in Algieri’s favor much more than primitive intimidation tactics. « Lampley: Andre Ward wants Golovkin fight!